Amid claims that he's been holding late wife Zsa Zsa Gabor's ashes hostage, Frédéric Prinz von Anhalt is setting the record straight. Von Anhalt denied the accusations brought on by Gabor's former publicist, Edward Lozzi, who told People magazine that the late Hollywood legend's "ashes were supposed to be interred at the West Wood Memorial [Park Cemetery] on Dec. 30, right after" her funeral. But, apparently, von Anhalt still has the ashes in his possession -- for which, he says, he has every right. "I had a service at a church, and then I took the urn home, which is a normal thing to do," he explained to People. "It's standing on the fire place, and that's it. It's my urn, it's my wife's urn and I'll do what I want with it." Actress Zsa Zsa Gabor attends the taping of 'The Joan Rivers Show' on May 26, 1993 at CBS Broadcasting Center in New York City. 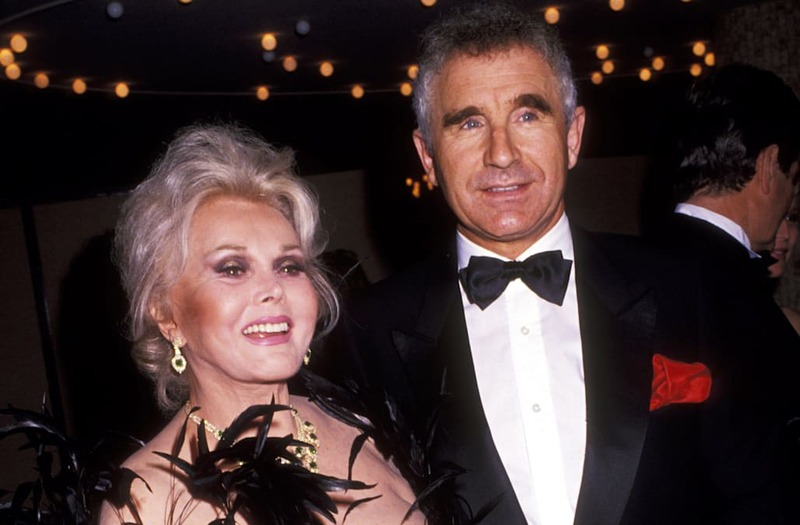 Actress Zsa Zsa Gabor and husband Frederic von Anhalt attend the taping of 'Bob Hope's Birthday Celebration' on May 1, 1993 at NBC Studios in Burbank, California. This remains in direct contradiction from Gabor's dying "wish to be interred at the cemetery," according to Lozzi, who noted that Gabor's late sister, Eva Gabor, and daughter, Francesca Gabor Hilton, are buried there already. He believes that von Anhalt is keeping the urn in his possession as a form of retaliation for Gabor's celebrity friends' boycott of the funeral he planned for her. According to Von Anhalt, Lozzi was "never the press person" and "must be a lunatic or something." Von Anhalt's future plans for Gabor's ashes are not clear at this time.